The stems of this vine may be slightly prickly; leaves are alternate, with 3-7 lobes, margins often irregularly toothed. Tendrils have 2 branches. Flowers unisexual, white, ovary inferior. 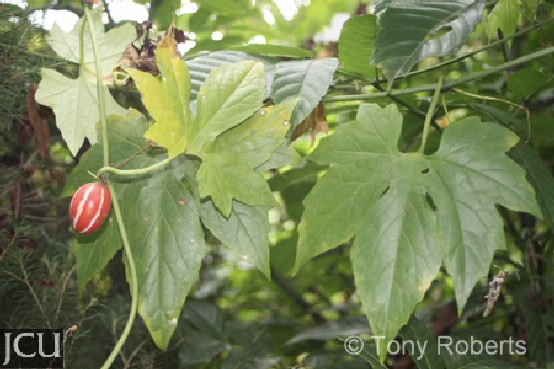 The distinctive fruit is globose to elliptical to 2.5 cm diameter, at maturity it is red with white stripes.